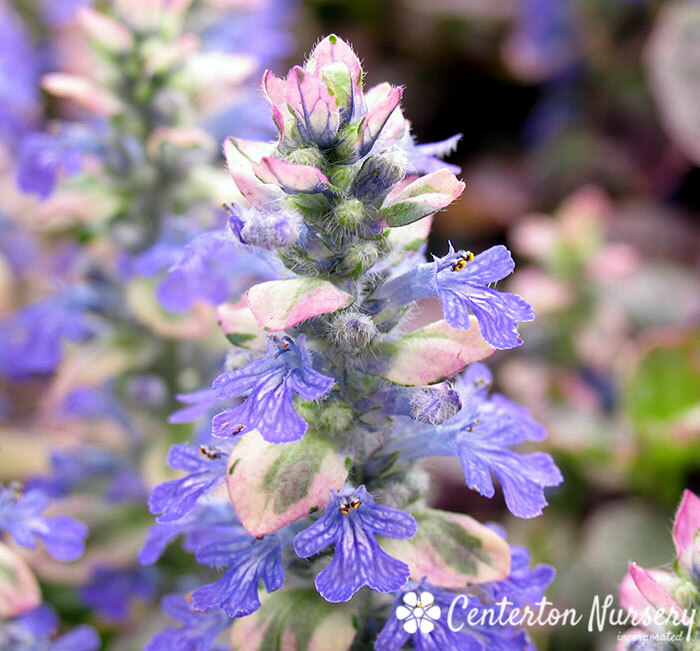 Tri-colored foliage of pink/green/cream bearing spikes of bright blue flowers and pink foliage in spring. 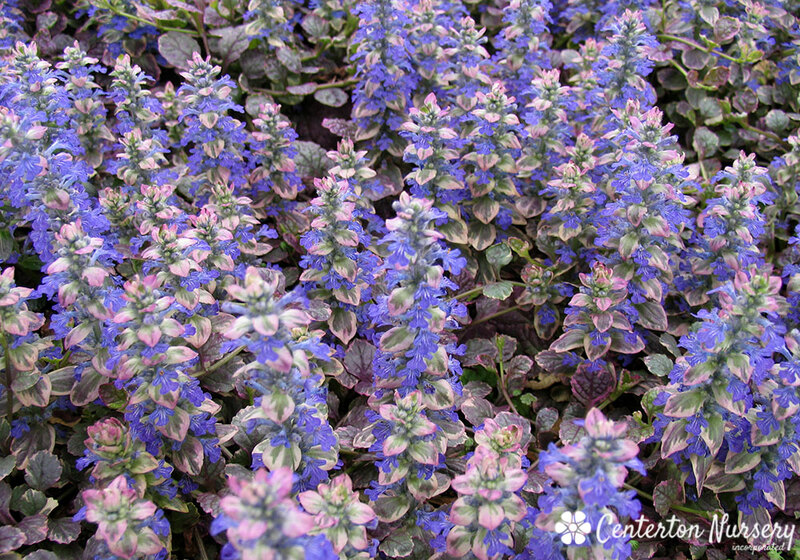 Fertilizer Needs: Ajuga can use a low rate of slow-release fertilizer in the first spring after planting. 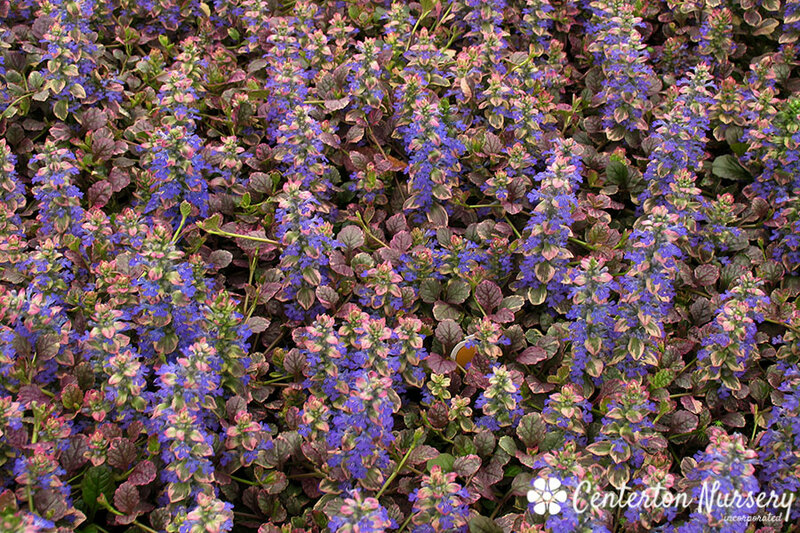 Once it is established, though, supplimental fertilizers are not necessary.